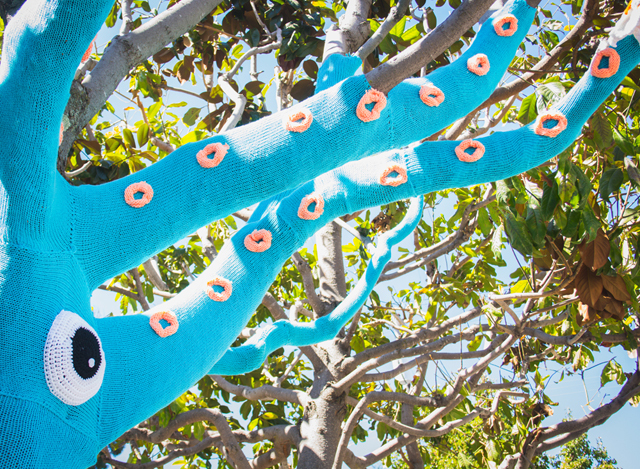 The Dapper Toad: Yarnbomb Squid Tree! We learned a lot during this project. 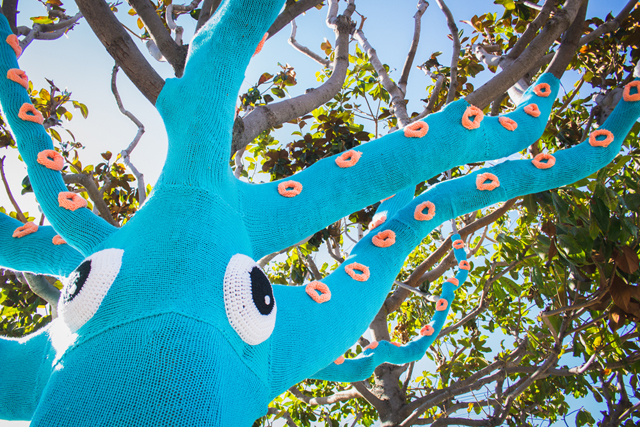 Here are some general tips to get you started on a yarnbomb adventure of your own! Take detailed measurements. In your preliminary research of your target location (lol) write down everything that you think could possibly matter. It's better to have too much information than too little. 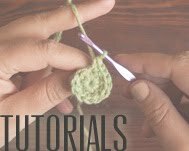 Make a swatch and count the number of stitches and rows while it's stretched around the object. We made a swatch large enough to wrap around the trunk of the tree and counted how many stitches are rows covered a 10 inch by 10 inch area. We then used this to calculate how big each panel needed to be. 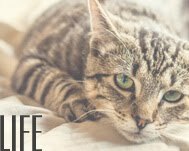 Do as much work at home as possible. It's a lot more comfortable sitting on the couch sewing panels together than it is standing precariously on the top rung of a ladder with your arms stretched straight above you. 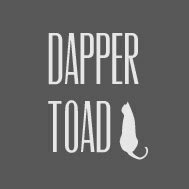 Talk to people about it! 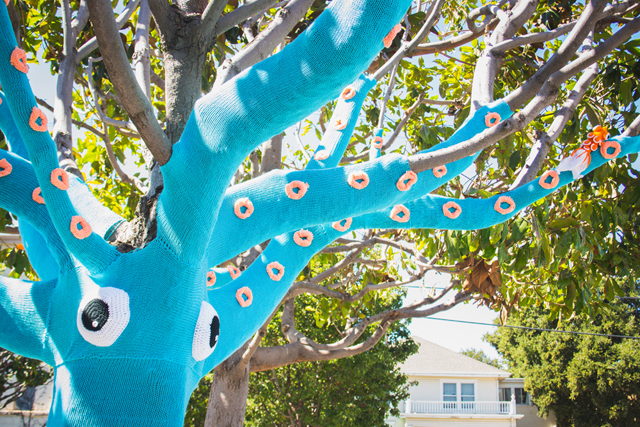 I love seeing people's reactions as we install our yarnbombs. Lately, we've been getting a lot of "so YOU'RE the ones doing this!" 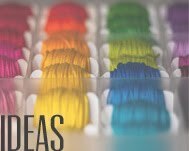 and "I've been noticing all the yarn stuff around lately". It's amazing to be able to converse with people as we're sewing feet on mailboxes and bicyclists on bike-shaped bike racks. 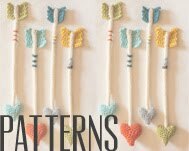 For more details, visit Lorna's post at Knits For Life! And here's the goldfish pattern on Ravelry. OH. MY. GOD. This is sooo cool ! You did an amazing job girls ! I love this! If I lived anywhere at all in the area I'd being driving down to see it asap. 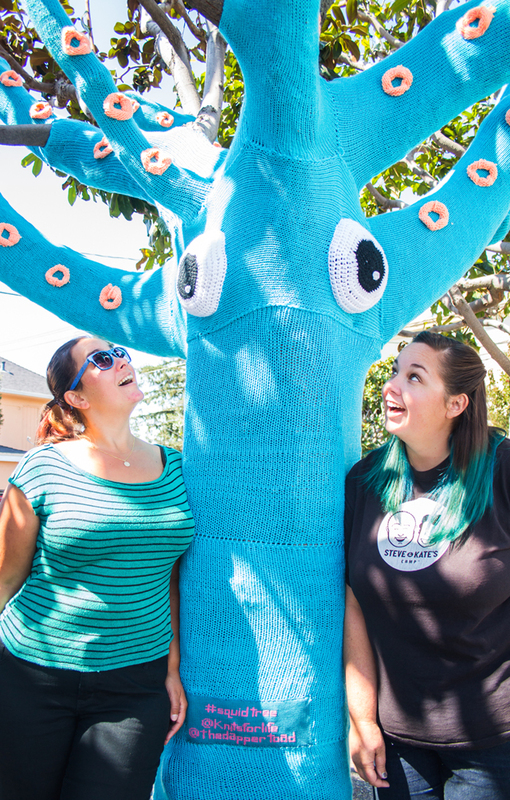 Sadly I live in Georgia, so I'll just have to enjoy the pictures - which are also great, btw :) Thanks for sharing, and congrats on a beautiful, crazy awesome yarnbomb! Wow, this is incredible! And in 91 degree heat? That's some serious dedication! This looks extremely cool. 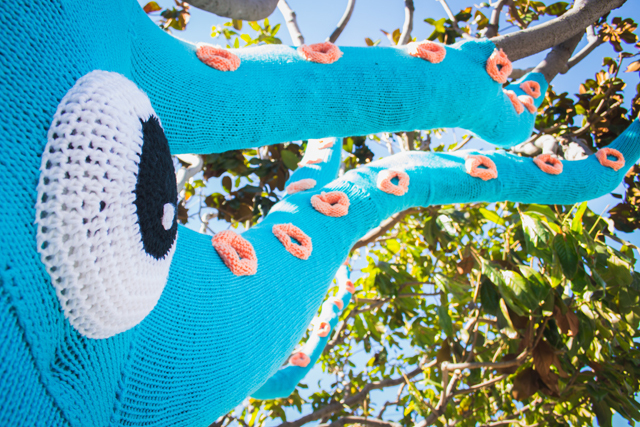 I think it would look even cooler if two thirds of the yarn below the eyes was removed, so that it just looked like the head of the squid. I also wonder what effect, is any, it has on the tree to be covered SO much. 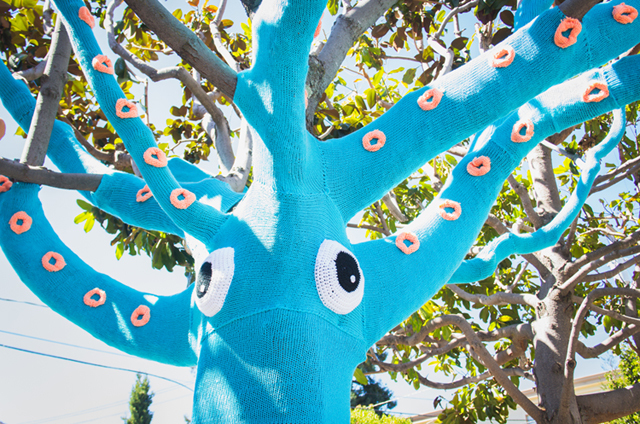 I'm wondering that, too, if it will have any ill effects on the tree, and how the yarn will fair through rain, snow, etc. Oh well, thinking ahead can go eff itself, I guess. 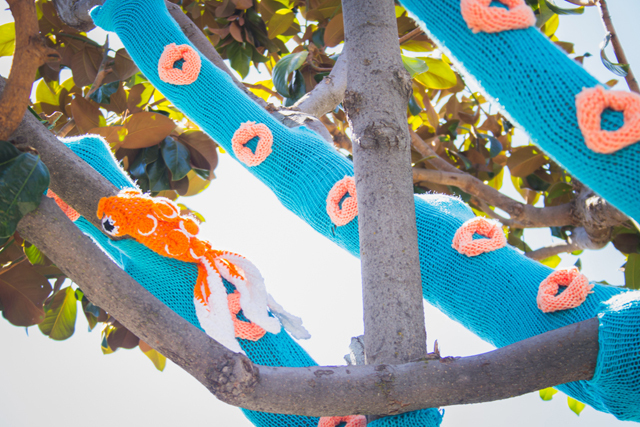 The City arborist was so happy about this yarnbomb as it actually helps this Magnolia tree. 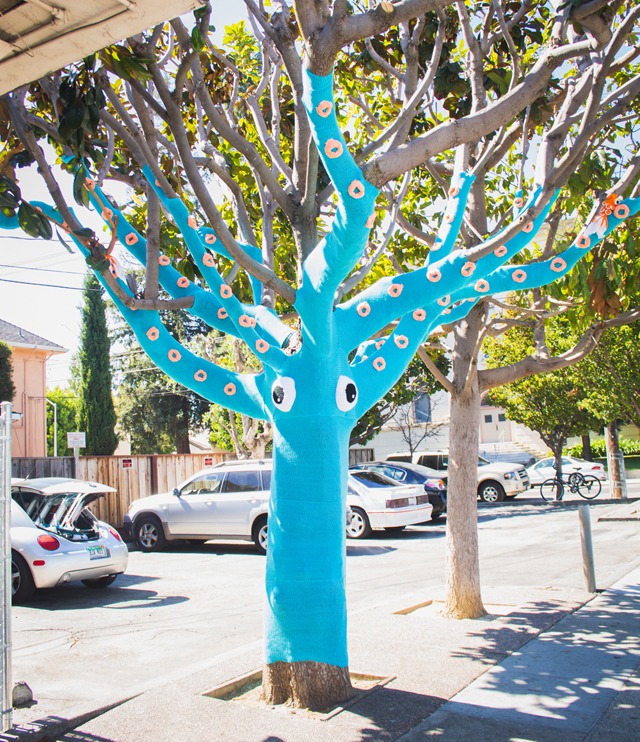 The week before we installed the squid, the tree had been over-pruned which exposed too much of the tree to the sun, so the yarn acts like a sort of sunblock. As for weather, rain doesn't hurt it and it doesn't snow here. Amazing! and it looks wonderful. The goldfish is a great touch. Wish I could see it in person. AMAZING work! Truly breath taking!! Keep up the great work!! Don't let anyone tell u different! how is wondering about the tree being a debbie downer?? This is the cutest thing ever! 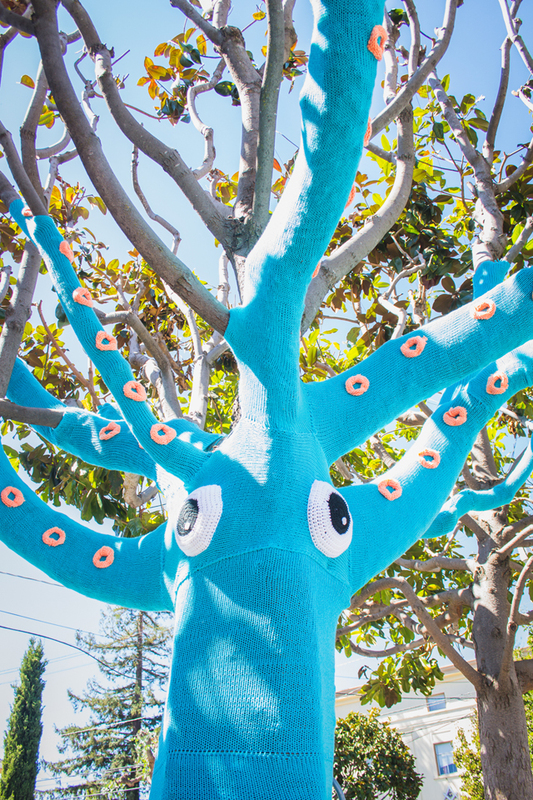 The people living around your neighborhood are so lucky to have this squid tree around! Whaaaat!? This is soooo awesome! You rock! this is literally one of the most amazing things I've ever seen in my life! There are just no words... ok maybe one, Awesome! This is really cool. how do you go about putting it on? Do you do it at night? you had to stitch it on to the tree at one point or the other... how complicated was that so that it didn't show? WOW that's totally amazing work! It looks just fantastic. What a great gift for the neighborhood. I hope you got a killer deal on the 4 miles of yarn! Where exactly is this tree? I can't find an address anywhere. 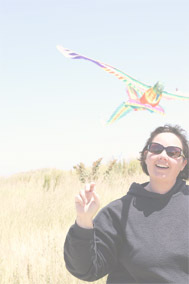 I am planning a trip to San Mateo, to St Johns Cemetary to see my grandma & would LOVE to see this. Any help as to it's location would be appreciated. It's on the corner of North B and Tilton. 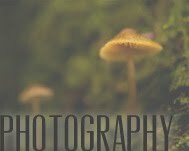 Such a compliment that you'd like to see it in person : ) I hope you find it! I love it ;) so nice ! !